David Bilger has condensed his years of experience into these comprehensive classical trumpet lessons. Students in the trumpet course have unlimited access to these video lessons, as well as daily exercises, orchestral excerpts and sheet music. What ultimately sets these classical trumpet lessons apart from other offerings is the ability to submit a video for review using the ArtistWorks Video Exchange Learning® platform. David reviews each submission and records a video response, offering specific guidance to take your trumpet playing to the next level. All students can access the Video Exchange library and watch each other’s interactions with David. This library is constantly expanding and may contain the key to unlock your playing. 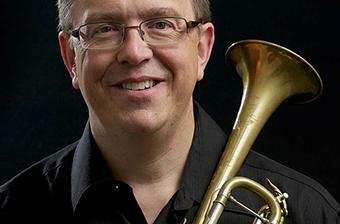 David Bilger has been the Principal Trumpet of The Philadelphia Orchestra since 1995 and has also played with the Dallas Symphony, the Houston Symphony, the Oakland Symphony, Philharmonia Virtuosi of New York as well as numerous Chamber ensembles. A graduate of the Juilliard School of Music and the University of Illinois, David currently serves on the music faculties of the Curtis Institute of Music and Temple University. He has taught master classes at institutions including Juilliard, Indiana University, the Manhattan School of Music, and the Peabody Conservatory. As a recording artist, David has worked with composer Meg Bowes on electro-acoustic music for synthesizers and trumpet. Ropartz - "Andante and Allegro"